Tregothnan has the largest historic, botanic garden in Cornwall. Its character was formed by the sixth Viscount Falmouth and his brother – the rector of nearby Lamorran who bought Rhododendrons, rare trees, shrubs and ornamental Camellias into the arboretum two hundred years ago. Tregothnan has persevered in pioneering botanical firsts, using our expertise to nurture rare plants, shrubs and Camellia Sinensis (tea plants) within our unique micro-climate. Eight miles from the coast with the deep sea creek of the Fal Estuary running through the estate, the warm and wet conditions are perfect for our thriving tea plantations, which allows us to grow and produce the most British tea in history. 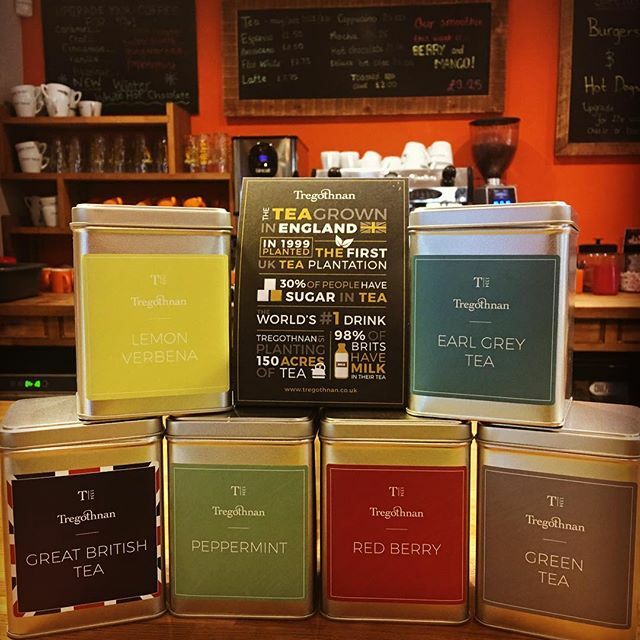 Tregothnan began supplying Britain’s first home-grown tea in 2005, creating the ultimate Britishness in every cup. The world’s first true British tea has been heralded as the ‘new Darjeeling.’ Hidden behind the iconic kitchen garden door – the oldest remaining part of the estate dating back to Plantagenet times – you can find our Camellia Sinensis plantations from which we hand-pluck the leaves at dawn. As well as growing English tea and a vast range of plants that create the delicious herbal infusions, a diversity of lands also allows us to produce Cornish Manuka and wildflower honeys, our fine and rare Kea plum jam and sustainable coppiced charcoal. Beautiful British flowers from the Tregothnan estate and surrounding lands are cut for our range of hand-tied seasonal English bouquets. Tregothnan’s Wild Escapes offer idyllic cottages full of Cornish character, nestled in peaceful orchard locations on the shores of the River Fal. Today we are still as passionate as ever about our tea, flowers, plants, experiences, holidays and all our high quality estate produce. We continue to experiment, create and innovate, surrounded by our exquisite botanical garden, which is the inspiration of all we do today.